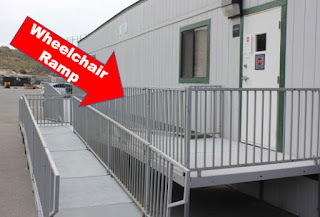 Typical wheelchair ramps can be purchased or rented. 1. How long of a wheelchair ramp will you need to service anyone with a disability entering and exiting your modular building? 2. How will the wheelchair ramp fit in the space you have for the mobile modular building? Don't forget aluminum stairs for doors. 3. 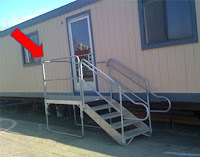 Plan your door locations and remember that you don't need a wheelchair ramp to service every doorway in your modular building. 4. 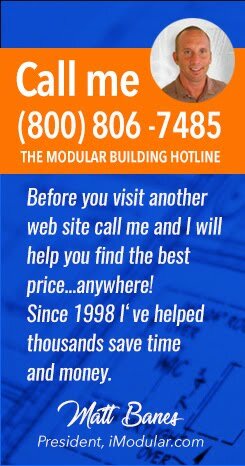 Shop for the most affordable price to rent or buy an aluminum wheelchair ramp or access stairs by using the iModular.com price comparison and buyer form below.